The Ethiopian government has condemned a Thursday car bomb attack on the president of Jubaland by Al-Shabaab, an islamist militant group. 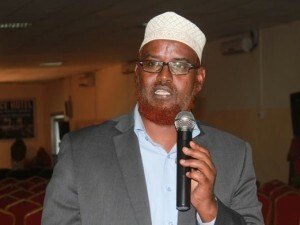 President Sheikh Ahmed Mohamed Islam’s (Madobe) motorcade was hit by an explosive laden car near Saadam II apartment building in Kismayo city shortly after he landed at Kismayo Airport. He was on his way home from Somalia where he had held talks with President Mahmoud and Prime Minister Abdi Farah Shirdon. Twenty civilians and security guards died and dozens others were injured in the attack which marks the first ever deadly attack by Al-Shabab on the President Madobe. “Ethiopia strongly denounces the terror attack as an act of desperation aimed at derailing the peace process between Juba and the Federal Government of Somalia. Addis Ababa reaffirms to stand by the people of Somalia and to continue necessary assistance for peace process and to combat terrorism” said a statement by Ministry of foreign affairs. Ethiopia is a regional ally to the United States in the war on Terror. Two weeks ago, the Federal Government of Somalia and Jubaland reached an agreement on a series of issues at IGAD brokered bilateral talks held in Ethiopia’s capital of Addis Ababa. In the agreement was a decision to fight against the Al-Shabaab militant group which has been linked to Al-Qaeda and respect the legitimate Provisional Federal Constitution (PFC) of Somalia.